Based out of Beverly, MA, Dash Drains is happy to provide the people of Brookline with superior drain cleaning and plumbing services. 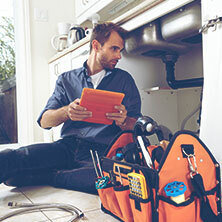 With nearly two decades of experience with residential and commercial drain services, you can count on Dash Drains to have the knowledge and know-how to find a solution to even the most complicated drain problems. Septic Tank Cleaning: If you are searching for septic tank cleaning in Brookline, MA, you’re in luck! Dash Drains offers septic tank inspections and septic pumping to ensure your tank is working correctly and not at risk of a gnarly backup. Pipe Location: Knowing the location and depth of pipes around your property is an essential step before starting on a landscaping or construction project. The last thing you want is to accidentally burst a pipe. As your Brookline plumbers, we can locate both metal and non-metal underground pipes. 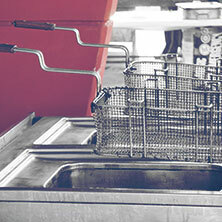 Grease Trap Cleaning: Brookline restaurants and cafeterias can rest easy knowing Dash Drains is there for all of their grease trap cleaning needs. We go the extra mile to ensure that your trap is left clean and free of caked on grease. 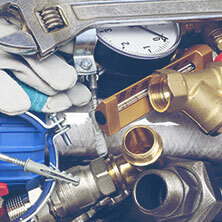 Preventative Plumbing Maintenance: Our crew can provide regular plumbing inspections, fix leaking shower heads and slow drains, check your pipes for leaks, drain and inspect your water heater, and take care of standard and preventative plumbing tasks. 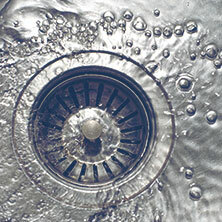 Drain Camera Inspection: Our drain cameras provide us a live look inside of your pipes. This is perfect for locating roots that are growing into a pipe, finding lost jewelry, or inspecting a home’s plumbing before you purchase a house. Unblocking Drains: If you have a clogged or slow drain, we can either snake it and pull a clog out, or use a hydrojet to blast it out with high-pressured water. Both of these options are environmentally friendly and effectively clear out a stubborn blockage. Need Drain Services? Call Dash Drains! If you are in need of plumbing, drain, or septic tank services in Brookline or the surrounding areas, don’t hesitate to get in touch with Dash Drains. Whether you need to schedule some regular maintenance or are currently having a plumbing emergency, or something in between, we’ll be there. Get in touch today!